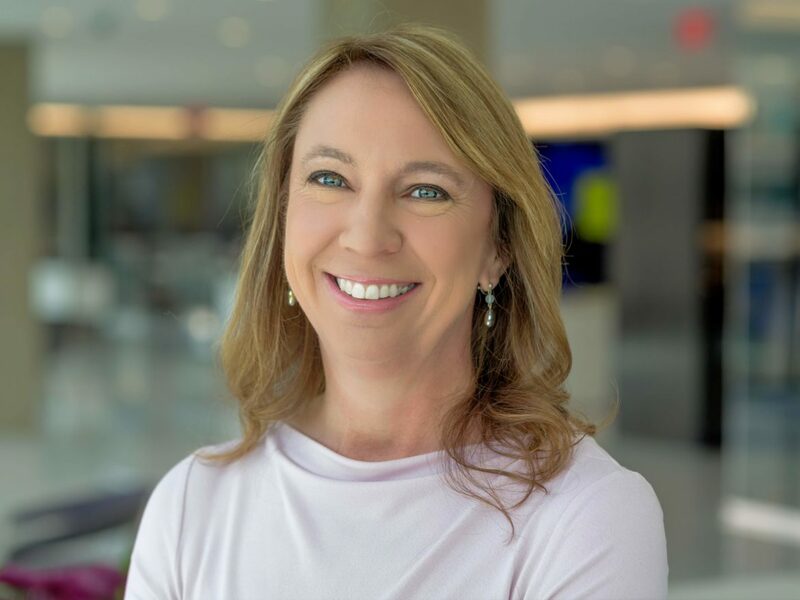 Jennifer Jacobs, whose journey to White House correspondent began in Iowa, will bring back home tales of covering the Trump presidency when she serves as the annual Celebrating a Free Press and Open Government Banquet’s guest speaker in Des Moines on Thursday, Oct. 5, 2017. The banquet, with the theme of “Government Transparency: Now More Than Ever,” is hosted by The Iowa Center for Public Affairs Journalism-IowaWatch.org and Iowa Freedom of Information Council with the Iowa Newspaper Foundation. It will conclude a day of events that focus on the public’s right to know and the need for news media that operate as independent government watchdogs. 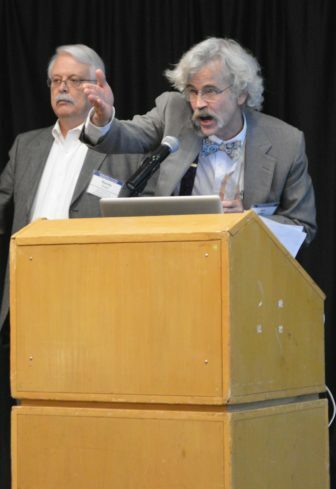 Storm Lake Times editor Art Cullen makes a point after receiving the Iowa Freedom of Information Council’s Harrison “Skip” Weber Friend of the First Amendment Award in Des Moines Sept. 29, 2016. Cullen won the Pulitzer Prize for Editorial Writing this year. Jacobs, an Iowa State University Greenlee School of Journalism and Communication graduate, points out that she moved from being The Des Moines Register’s chief political reporter to Washington, D.C., and a job with Bloomberg News on April Fool’s Day in 2016 to cover Donald Trump. Other events for a day called Celebrating a Free Press and Open Government Day are planned on Oct. 5 in Des Moines. They will include a public forum hosted by Register Media, the Iowa Newspaper Association and the Iowa Freedom of Information Council. Titled, “Iowa’s Creeping Secrecy,” the forum will examine how each year brings more challenges that would erode Iowa’s long tradition of state and local government being open for scrutiny by the public. We will explore this expanding secrecy – and arguments marshaled by various sides. Access to the first-floor forum is easy at Register Media’s Community Room, 400 Locust St., in downtown Des Moines. The annual Iowa Freedom of Information Council business meeting at Register Media will follow the forum. The public is welcome to attend that, too. Des Moines Register engagement editor Clark Kauffman (center) receives the 2016 IowaWatch/Stephen Berry Free Press Champion Award during the annual Celebrating a Free Press and Open Government banquet Sept. 29, 2016. Berry, the IowaWatch co-founder for whom the award is named, is on the right. IowaWatch executive director and editor Lyle Muller is on the left. The Iowa Freedom of Information Council will present its annual Harrison “Skip” Weber Friend of the First Amendment award at the banquet before Jacobs speaks. 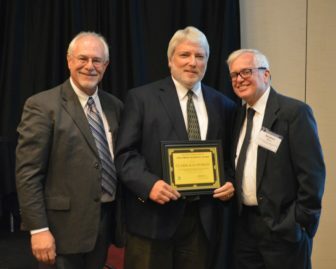 IowaWatch will present its Stephen Berry and Randy Brubaker Free Press Champion awards respectively to a working journalist or journalism educator and to an Iowan who promotes the role of an unrestricted news media and open government in means other than as a journalist. Trump once called her “the worst” in the middle of one of his campaign rallies, peeved at how she described his crowd sizes and poll numbers. 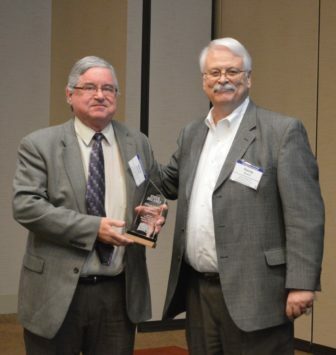 Former Burlington Hawk Eye publisher and editor Steve Delaney receives his Harrison “Skip” Weber Friend of the First Amendment Award from Iowa Freedom of Information executive director Randy Evans. Since Trump was sworn in, Jacobs has been writing the inside story on the White House, including breaking that Steve Bannon had been removed from Trump’s National Security Council, that Trump had no tapes of his conversations with FBI Director James Comey, and how Chief of Staff John Kelly’s first week went as he tries to instill discipline in an unruly administration. 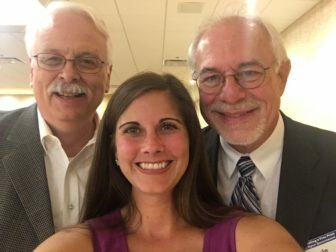 2016 Celebrating a Free Press and Open Government guest speaker Cori Zarek with Iowa Freedom of Information executive director Randy Evans (left) and IowaWatch executive director-editor Lyle Muller at last year’s event. The Downtown Marriott has a special group rate for the night of the banquet. 2:00-4:00 p.m. – Des Moines Register/Iowa Newspaper Association forum, Des Moines Register Community Room, 400 Locust St., Des Moines, IA 50309. 4:30-5:30 p.m. –Iowa Freedom of Information Council Annual Business Meeting, Des Moines Register Community Room, 400 Locust St., Des Moines, IA 50309. 5:30-8:30 p.m. – IowaWatch reception and “Government Transparency: Now More Than Ever,” the fifth annual Celebrating a Free Press and Open Government Banquet with speaker Jennifer Jacobs, Downtown Des Moines Marriott.